MicheAl Maguire is already on the first rung of the ladder of youth development in Irish cycling. 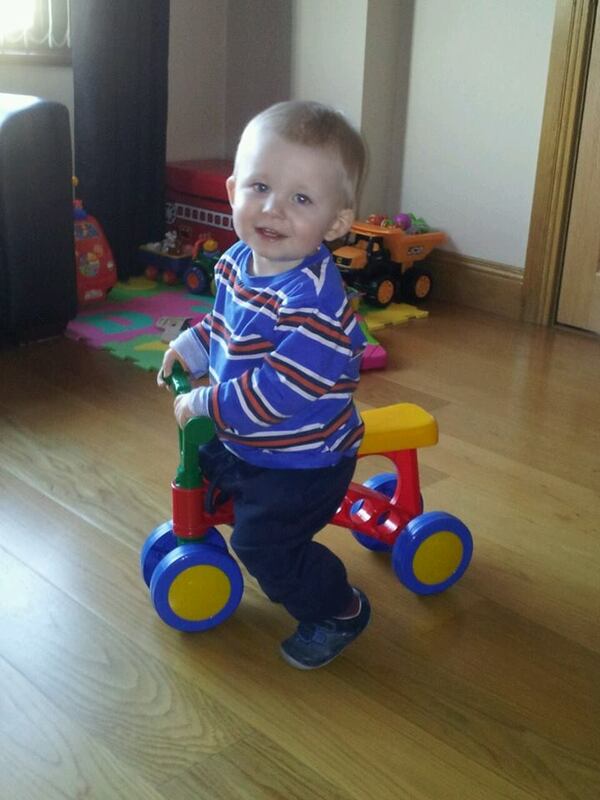 At only 1 year and 4 months his leg muscles are developing rapidly and with his 'pre balance' bike he is now training every day. Sitting on the bar until he reaches the seat, he has already mastered the pull along technique and the core muscles are strengthening. Martin Grimley watch out for the entry and when Micheal is racing I will be running along side my great nephew taking photos all the way!